The explosive growth of the cryptocurrency market has converted Mike Novogratz, a former manager at Fortress, the $72 billion money manager, into a bitcoin evangelist. And now he’s reportedly raising $500 million for a new cryptocurrency hedge fund, according to Bloomberg News. 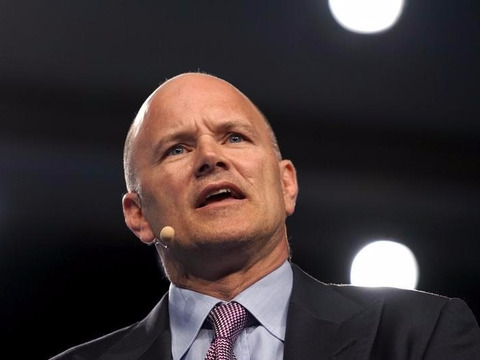 The new fund would represent a sort of come back for Novogratz, who left Fortress in 2015 after the $2.3 billion fund he managed failed to deliver returns for its investors. Still, Novogratz did admit to Bloomberg that there are plenty of opportunities to make money in the cryptocurrency space. Already, the billionaire actively trades bitcoin himself. The so-called Galaxy Digital Asset Fund would be the largest cryptocurrency fund, according to Bloomberg. But it would not be the first. Autonomous NEXT, a financial technology analytics firm, has been keeping track of all the crypto-funds out there and at last count there are at least 75 in existence. Lex Sokolin, a partner at Autonomous NEXT, told Business Insider the firm estimates total assets managed by such firms to stand somewhere between $1.5 and $2 billion. “Like wild mushrooms, crypto-hedge funds have been taking root in the volatile and unregulated soil of the crypto economy,” Autonomous NEXT said in a post on their website. Many of the firms sport crypto-themed names such as Ether Capital, an homage to the token powering the ethereum blockchain, and Medici Crypto. The meteoric rise of digital currencies such as bitcoin, which is up nearly 570% since 2016, and ether, which is up 2,100% over the same period, has drawn the attention of Wall Street. On top of this, the market for initial coin offerings, a fundraising method based on blockchain technology, is exploding with over $2 billion raised via ICOs since the beginning of the year, according to Autonomous NEXT. “We have seen managers invest in the actual currencies and/or in the ICOs, and soon there will be derivatives as well,” Steve Nadel, a hedge fund attorney, and partner at Seward & Kissel, said in an email sent to Business Insider.